The jewel in the crown of Florida, Miami is a melting pot of a city. Its location on the south-east coast of the US, and its proximity to Cuba, means there’s a huge Hispanic influence that runs through the architecture and food. 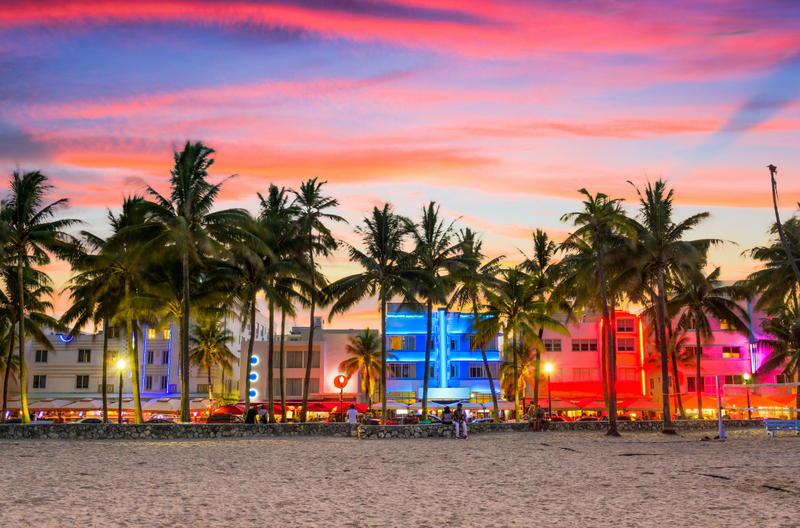 You’ll notice the neighbourhoods changing before your eyes as you drive through Miami, with the addition of some Caribbean and international influences meaning there’s a diverse menu both in culture and restaurants. We’ve scoured the city for the pick of places that will give you a sense of the amazing range of tastes on offer in the Magic City. It can be easy to forget you’re in the south sometimes, but the Yardbird Southern Table and Bar will certainly remind you. 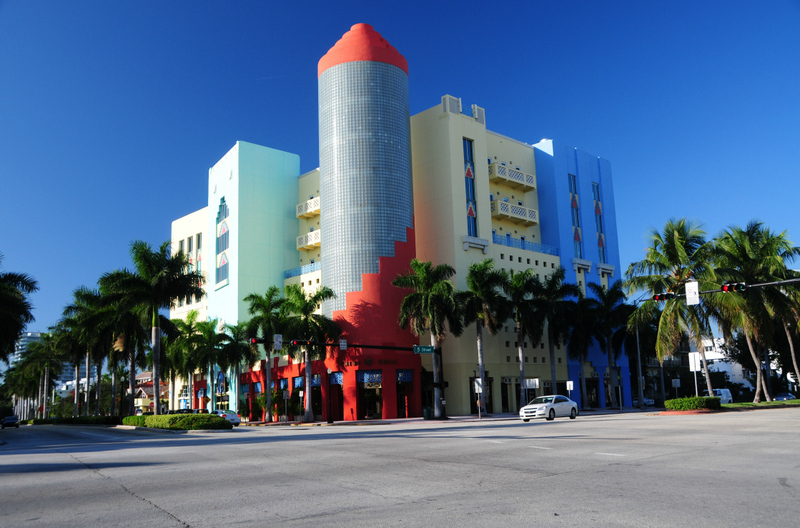 You’ll find it west of Miami Beach in an area thick with restaurants and bars of all kinds. Step inside for a friendly welcome and a great – and generous – focus on traditional southern cuisine. Go for the hearty chicken and biscuits, with skillet cornbread and collard greens on the side. The chicken is brined for 27 hours before frying and paired with a moriesh honey hot sauce. Desserts are equally belt-busting. A deep-fried Oreo, a coconut cream pie and, perhaps best of all, a bacon butterscotch cake are among the picks. Make your way to El Mago de las Fritas in West Miami and you’ll be in fine company. After all, this Cuban burger joint is so good that Barack Obama dropped by a few years back to sample the legendary frita here. Mago has been serving thousands of delighted customers since 1984, with a pared back menu that lets the great meat do the talking. Piled high with shoestring potatoes, the frita is a Cuban take on the hamburger that’s chin-drippingly awesome and a great gateway into Cuban-American food. German chef Rainer Becker's Zuma is perched over the Miami River, just west of Miami Beach, right in a great restaurant hotspot. Refined, chic and modern, Zuma is an outpost of the London-based original, renowned for its impressive take on Japanese food. Sample Becker’s signature dishes and you’ll see why his portfolio stretches across the globe, with restaurants in his native Germany, Dubai, Istanbul and more. Among a number of sharing dishes, standouts include lobster with shizo-ponzu butter, crisp rock shrimp tempura and some fine vegetarian options. Miami’s GLAM restaurant does two things brilliantly. Firstly, it captures Miami’s diversity in one menu that spans pasta, Indian-inspired dishes as well as Mexican-derived entrees. Secondly, that menu is entirely vegan. Deep in Midtown, award-winning chef Todd Erickson’s kitchen offers a different soup every day, along with must-tries such as a jackfruit taco el pastor, and mushroom and fennel flatbreads that marry the bosky flavour of the fungi with the aniseed notes of fennel. Casual, modern and laidback, it’s the perfect place to eat ethically in Miami. With so many different nations and cultures meeting in Miami, we’ve barely scratched the surface of the dining options you’ll find at your fingertips. Take yourself on a culinary cruise with car hire in Miami and tick off as many cuisines as you can.